A few times a year, my mama hosts a craft weekend, and let me tell you, its CRA-ZY! Twelve ladies, crafts everywhere, and poor Dad banished. Its a weekend filled with carbs, girl movies, and of course, whatever craft we happen to be working on. One tradition my mom has started is we each bring a gift for everyone else attending and put them into favor bags. BUT, they all must be gifts under $1. So, my 58 cent necklace charm came to be. 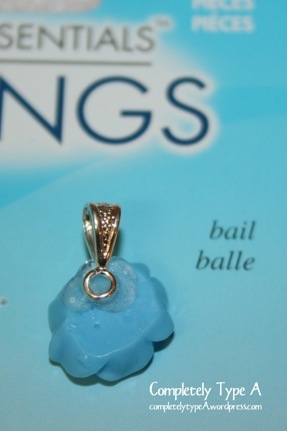 Then, I just hot glued the bail on and put in a cute little bag. SO simple. 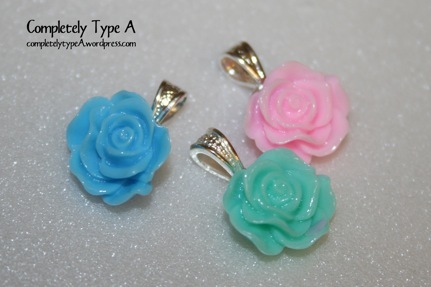 Every girl is dreaming of owning a piece of beautiful jewelry, so great to read your blog.